Every home needs to have a collection of service companies that will immediately and efficiently meet their concerns and needs. This includes the expert mind and hands of a skilled and trusted locksmith. Security is not a joke. It’s one of the most important aspects of a home. It ensures that the assets are secured from burglary and your loved ones are protected from any force that may want to cause them harm. 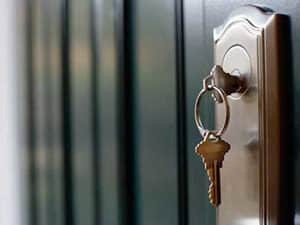 Given its value, it is important that every homeowner or renter must have a reliable locksmith that they can call or email at any time of the day. That company is the amazing 7 Day Locksmith. 7 Day Locksmith immediately gains a step up over the competition for the complete collection of locksmith services it offers to any customer in the South El Monte area. Unlike other South El Monte companies, our group gives a number of services and options that will be of use to any individual who has a home. No longer do individuals have to possess several contact details in their phones. With us, they only need to contact one. Our company offers the always needed locksmith services. If you get locked out of your home or if any of your rooms get stuck and you cannot seem to dislodge it, we can send our guys and get you access at the soonest possible time. We also offer the ever needed key replication option. Should your family member need an additional set, or if you need a backup for times of emergency, we can give you what you require. We also do key and lock repairs. Locks get broken and it cannot be helped. The repeated closing of a door, the frequent turning of the mechanism when a key is inserted and extreme temperatures of the season can cause significant damage to its mechanism. With 7 Day Locksmith, it would not be a problem. Our guys can get into your home and do a thorough fix. We also do replacements for locks that are too far gone, and for people who want to replace their systems once they move into a new place. Finally, 7 Day Locksmith also do audits and improvements. The security industry evolves and creates better equipment every single year. These items increase the chances of being protected and give thieves and burglars a more difficult time whenever they try to get into a home. We are aware of these changes and can make informed suggestions that will benefit customers in the South El Monte area. We are committed to providing the best and the most capable service the state of California has ever known. We promise excellence above everything else. As a South El Moneta locksmith, we have in our team some of the best and proficient locksmiths in the country. All of our team members are equipped with the knowledge, skills and years of hard earned experience that provides us with the ability to figure out any problem, develop a an effective solution and deliver the process to ensure that the client’s problems are immediately resolved. This locksmith South El Moneta company is also aware that the industry changes over the decades. New technologies are created, brand new locks are developed and even information, standards and techniques related to the security industry is updated. In our effort to continuously be the best, we ensure that all of our team members have the best and newest information. We ensure that they are trained and certified in order to give all of our customers the best possible solution. When a homeowner gets a locksmith, the South El Monte locksmith should not only have the knowledge and capability to get the job done immediately. They should also be reliable and provide ease of access to its clients. 7 Day Locksmith guarantees convenience to its customers. We know the value of their time. We are also keenly aware that lock problems can happen anytime of the day. It can occur during early mornings, midnight, or even during the weekends. This is the key reason why we are open 24 hours a day, 7 days a week. No matter what time of day, we’ll answer calls, listen to problems, develop solutions and deliver results. Additionally, we also make sure that our clients are satisfied. On top of our professionalism, we provide knowledge. We understand that some customers might want a comprehensive overview of what is being implemented. We’ll be glad to give that. We’ll tell you what went wrong, what we are doing, what needs to be fixed and what they can expect once everything is finished. We’ll even go the extra mile and tell you some tips just to help you out with your locks. are too high. They’ll give reasons about labor, equipment and even additional tools required. You won’t experience this kind of inconvenience with our company. 7 Day Locksmith provides complete practical locksmith and security solutions at a cheap cost. It’s affordable and within reach. With our prices, you won’t wonder about the expenses because you will know for a fact that we won’t be overcharging you. This is one of the many reasons why we’re the preferred South El Monte CA locksmith. You can’t go wrong when you choose 7 Day Locksmith. With our locksmith service options, professionalism, knowledge and their commitment to customer satisfaction, it’s quite challenging to find a better locksmith in the area. Make us your go to guys immediately! In case you are wondering, this locksmith South El Monte company also has one of the best rates in the area. Other companies and services will typically offer expensive prices and provide comprehensive explanations on why the costs are too high. They’ll give reasons about labor, equipment and even additional tools required. You won’t experience this kind of inconvenience with our company.